Blocked drains? It’s time to clean and fix this before it results to bigger plumbing problems. Call H2-pro now. Whether it’s a blocked sink, basin, toilet, laundry trough, sewer or stormwater drain, we can have your plumbing flowing again in no time! 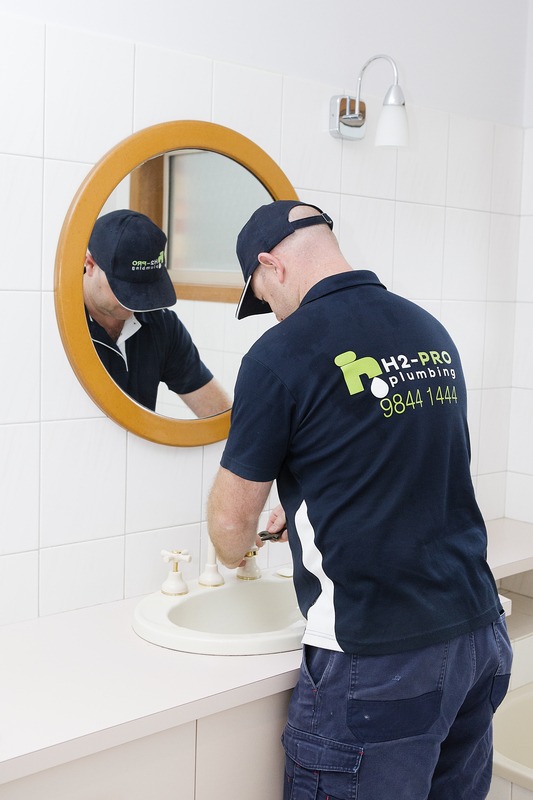 H2-Pro Plumbing has specialist equipment designed to clear most types of blocked drains in Melbourne. When it comes to quality local drain cleaning, Park Orchards, Warrandyte, Doncaster, and surrounding suburbs know they can count on H2-Pro. Thanks to the H2-Pro team, blocked drains caused by any foreign objects are a thing of the past! With the use of an Electric Eel or Water Jetter we can unclog sewer and stormwater pipes and unblock drains. This specialised equipment cuts through any drain obstruction. Other major culprits of a blocked toilet drain include objects that shouldn’t be flushed, like wet wipes, cotton swabs, make-up wipes, floss, and tissues. Yes, even tissues. You might assume that just because they look and feel very similar to toilet paper, that they’ll dissolve the same way, but to the contrary, facial tissues do not break down the same way that toilet tissue does. For fast, affordable and round-the-clock assistance with your blocked drains, Croydon and Melbourne’s Northern & Eastern Suburbs can count on our expert emergency plumbing. Tree roots are a strangely fascinating thing. Mature trees can cause quite extensive damage to underground pipes and drains. Their technique is really quite astonishing; as they grow, they make their way through the smallest of cracks in pipes to reach the moisture inside: the perfect environment to grow. As the roots fill the drain, water flow is impeded and you might notice a gurgling noise in your pipes. That’s a clear sign that your drains need to be checked! In many cases, drains that block once will most likely block again. To diagnose the problem, we can use a CCTV (closed circuit television) drain camera and locator. Why use a CCTV Drain Camera? Once we have cleared your blocked drain, we can feed the CCTV Drain Camera into the drain to conduct an inspection. We look out for any protruding tree roots, misalignment, cracks, broken sections or abnormalities that may cause a drain to block. Once we find the source that is causing the blockage we can then use the Locator to tell us where it is and how deep it is. Using this information, we take the necessary steps to repair the drain and avoid ongoing blockages. With H2-Pro it’s easy to eradicate any blocked drains. Donvale, Eltham, Park Orchards, Templestowe, Warranwood and Warrandyte are just some of the eastern Melbourne suburbs that rely on H2-Pro’s top-quality services. If our diagnosis indicates that your pipe work or drains are damaged, there’s no need to worry. We’ll provide you with expert knowledge and advice on the necessary or recommended action. Find out more about leaking pipes.